I have just had a short holiday in the Sudan. I was born there 60 years ago and have always wanted to go back, since I have plenty of childhood memories. The internet is every where in Africa even in remote towns. Wifi in our hotel worked just fine and was free to residents and their visitors, but my iPhone only worked as a phone. No data services seemed to be enabled. I guess that Apple and its partners will soon solve that. Mobile phones are really important to much of the population. People were happy to lend us their phones, even strangers in a crowd would pass us a phone if we asked to make a call. Mobiles are the only easy way of getting round the massive Khartoum/Omdurman conurbation by taxi (maps and street locations are vague): all we needed to do was to ask our taxi driver to ring our host on his mobile phone and then get directions to our destination, directions which we obvioulsy could not understand since the conversation was entirely in Arabic (most taxi drivers had a smidgin of English). Mobile phones are already very prevalent in the universities, but computers and netbooks are not common among the students at the universities we visited (Bakht er Ruda and Ahfad). The mobile phone is going to have huge educational impact in Africa. 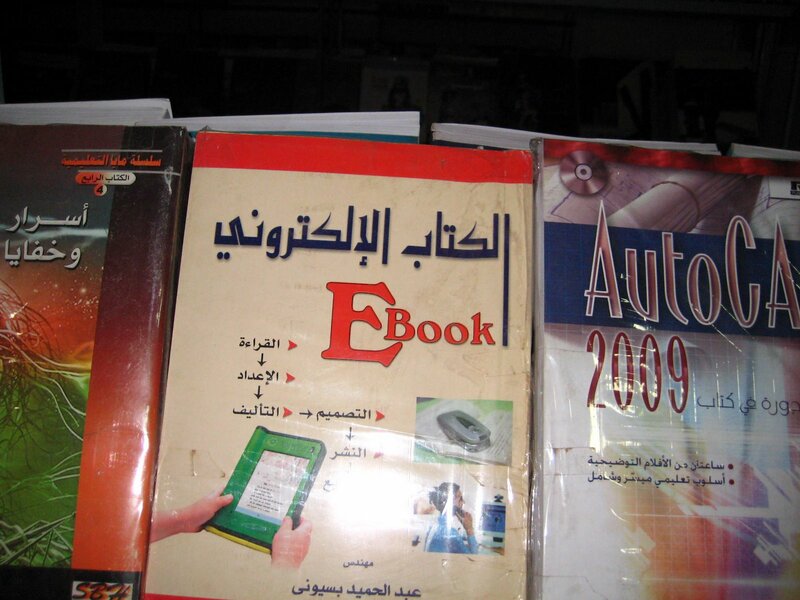 There are a few English language universities (Ahfad is one) but much of the schooling and college education in the Northern 2/3 of Sudan is in Arabic. Bookshops mostly have Arabic language books. eBooks and digital editions could have a huge educational impact. But not whilst they are all in English (wake up Amazon) and not while the territorial rights situation is so complicated and unworkable. It is really nuts that the Kindle is only for sale in the USA. Google will be hamstrung and pilloried if its Google Book Search remains only really useful in the USA. It is time that the English language publishing industry started thinking outside the London/New York/Hollywood axis. We met many very friendly people and were given much generous Sudanese hospitality. But the regime is not very popular and is repressive. We met some activists and people were not afraid to speak out. But two of the interesting people we met were arrested shortly after we left the country. I guess some monitoring of mobile phones and internet use is going on. Privacy issues matter and should be hardwired into good web design. Not every country has an effective Supreme Court and a Bill of Rights. It was shrinkwrapped but not, alas, the Arabic Kindle.